Imado Shrine is known as a power spot for matchmaking, however it is also the place where Souji Okita from the Shinsengumi perished. 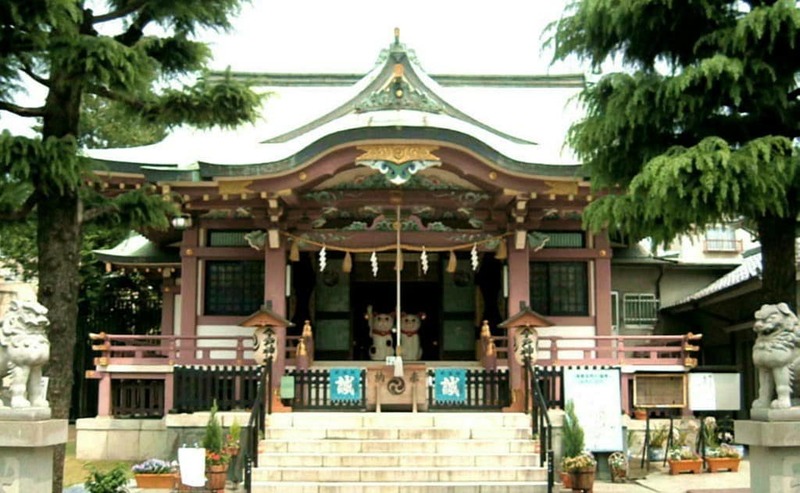 The god Fukurokuju is worshipped at Imado Shrine and is one of Asakusa’s Seven Lucky Gods that you can visit. Visit here if you are going to visit all seven gods. At Imado Shrine, the god Izanagi-no-Mikoto and the goddess Izanami-no-Mikoto, who are the first married couple in Japanese mythology, are worshipped. After receiving life from the heavenly God, it is said that these two gods created the land of Japan, created various other gods, mountains, oceans and grew the plants and trees. They are revered as the gods of creation. Due to the legend, many ladies visit the shrine as a power spot for matchmaking. You will find cat items everywhere in the shrine area. Cats appear in signs, as large statues, in stamp books issued by the shrine and even in shrine goods. 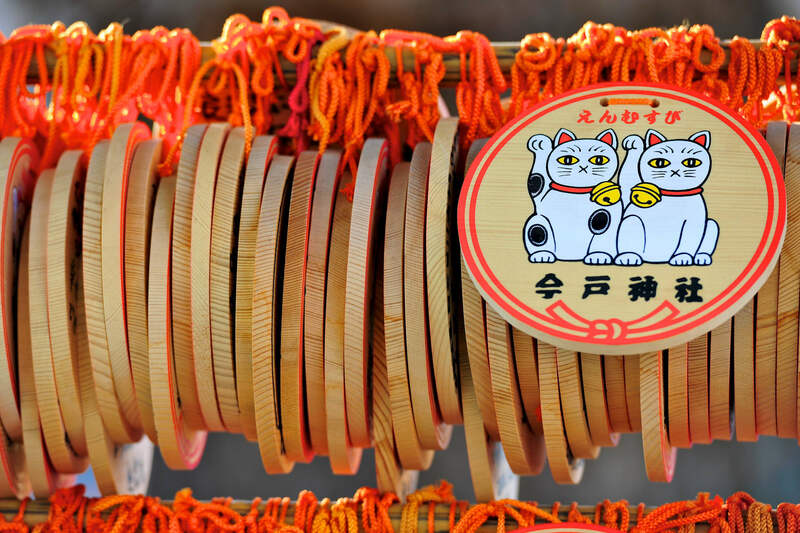 Differing from traditional wishing charms, which are small wooden plaques, this shrine offers circular plaques. It’s a wordplay of en (destiny) and en (circle). Matchmaking can work for anything. Not only to find your partner, you can form a connection with money as well. 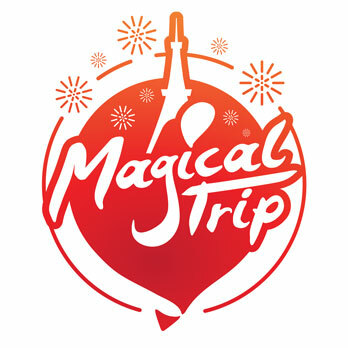 There is a rumour that a person won the lottery after visiting this shrine. This would be a great spot for people who are seeking great connections. According to an ancient legend of the shrine from the end of the Edo period, an old lady who was living in Asakusa was forced to leave her cat due to her poverty. One day, the cat appeared in her dream at night telling her that fortune will absolutely come to her if she makes cat dolls. 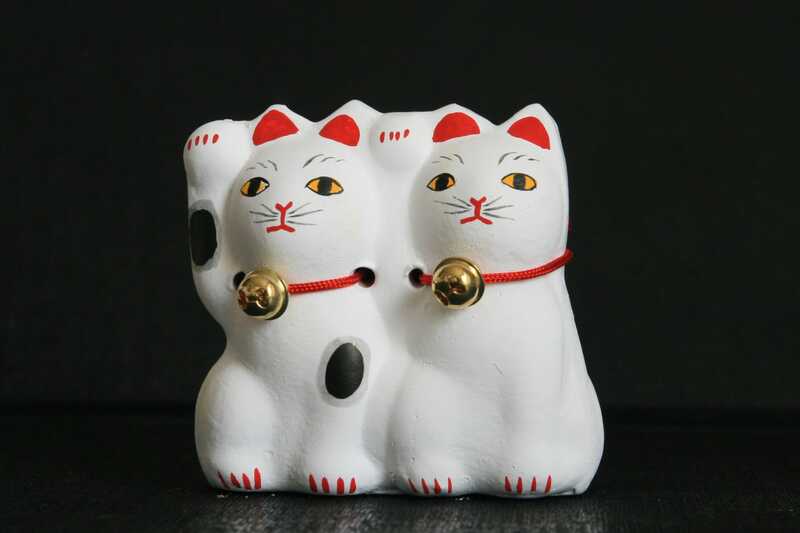 After that, she started selling Imado ware in the shape of cats on the main street by Sensoji Temple and the cat pottery has since become very popular. It is said that this is the origin of the maneki-neko (the beckoning fortune paw-waving cat). It is well known that a beckoning cat can increase your chance of getting money. 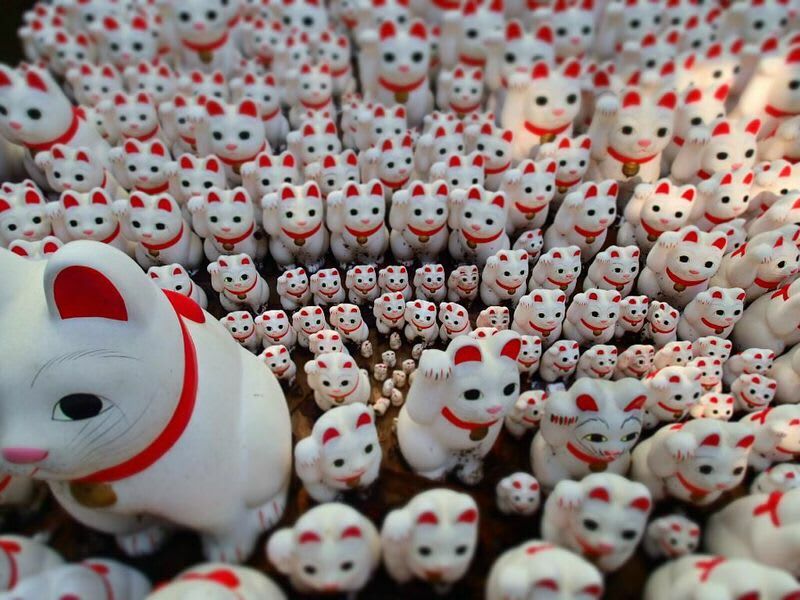 On the other hand, the beckoning cats from this shrine are believed to bring a great connection and good luck. A beckoning cat that will bring money is raising its left paw, while a beckoning cat from Imado Shrine is raising its right paw. 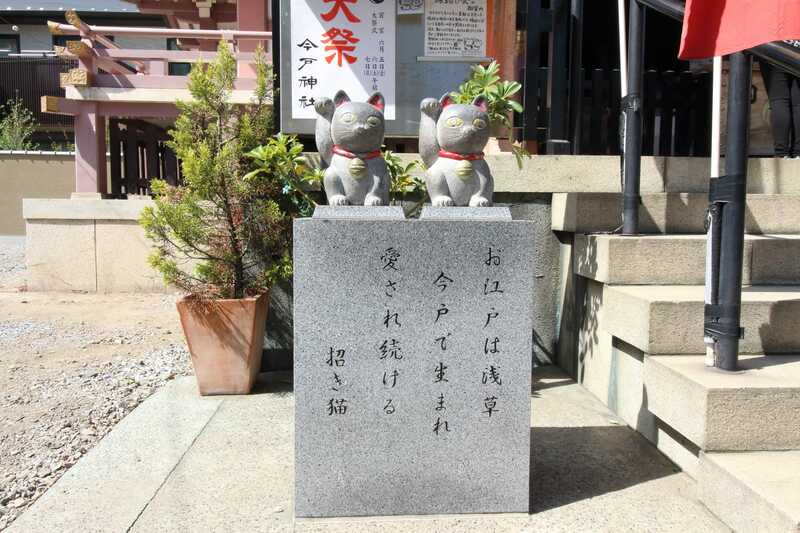 On the left side of the shrine you can find two stone cat statues; a boy cat named Nagi-kun and a girl cat named Nami-chan. The names are after the god Izanagi-no-Mikoto and the goddess Izanami-no-Mikoto. You might be able to receive some luck by petting the stone cats or even by using a photo of you petting the cats as your wallpaper on your phone. There is a rumour that a person won the lottery after visiting this shrine. It’s worth a try!